They accused Séverine of causing the death of Max Lebaudy on December 24 1895. Her battle with him had started with the Sugar Strike and continued with the corridas before ending in the scandal that resulted in his death. Max Lebaudy was the son of a rich industrial sugar producer who had inherited a vast fortune. He was called “The Little Sugar King” and in the words of Ernest Vizetelly “an imbecile son who wandered about the world calling himself Emperor of the Sahara.” He was a player, a ladies’ man, a vain and idle fop with a passion for horse racing, gambling and girls, but his 27 million F was acquired off the backs of the “casseuses de sucre”, the sugar crackers. From 7 a.m. to 6 p.m. at the factories of Lebaudy, Sommier or Lucas women packed sugar into crates that they then hauled to the scales to weigh. Forty trips and a thousand kilos a day. Exhausting, painful and sometimes deadly work. The women had their stomachs, lungs, fingernails and teeth eaten away by the corrosive dust. For their labor they received 60 centimes per 100 kilos. In September 1892 the sugar producers announced a lowering of the salary by 10 centimes per 100 kilos. Take it or leave it. The workers refused to take it and went on strike. The factories got to work hiring scabs, which were never wanting in those times of poverty and unemployment. Lower wages made it impossible for the workers to live, but the politicians refused to take an interest in the matter and without the privilege of voting, the women were left to fend for themselves. A couple of years after the sugar strike, Séverine ran up against Max Lebaudy once again. His latest fantasy was bullfighting, which was becoming more and more popular in France despite it being illegal. On his property of Maisons-Laffitte where he already had a private racetrack, he decided to build an arena. Dressed up as a toreador he presided over the death of bulls and horses in his corrida del muerto. Now, Séverine had been campaigning against bullfighting for years and here was another opportunity not only to denounce the barbarous “sport”, but also to strike out at the “cruel and evil little boy,” the “Spanish tripe-seller,” as she called him. However, Lebaudy had money and influence but even George Labruyère’s attempts to dissuade her went unheeded. Back in 1890 Séverine’s love of animals had led her into a merciless campaign against bullfighting in the arena on rue Pergolèse in Paris, which had been built the year before. Her attacks against the horrors of bullfighting earned her the malice and rancor of many people, but she never threw down her weapons. As she admitted, “I love the poor first; then animals; and people after.” Later that year in 1890 they forbid the killing of bulls during the spectacles. Without the bloodletting the public soon abandoned the bleachers and the arena closed its doors in 1893. 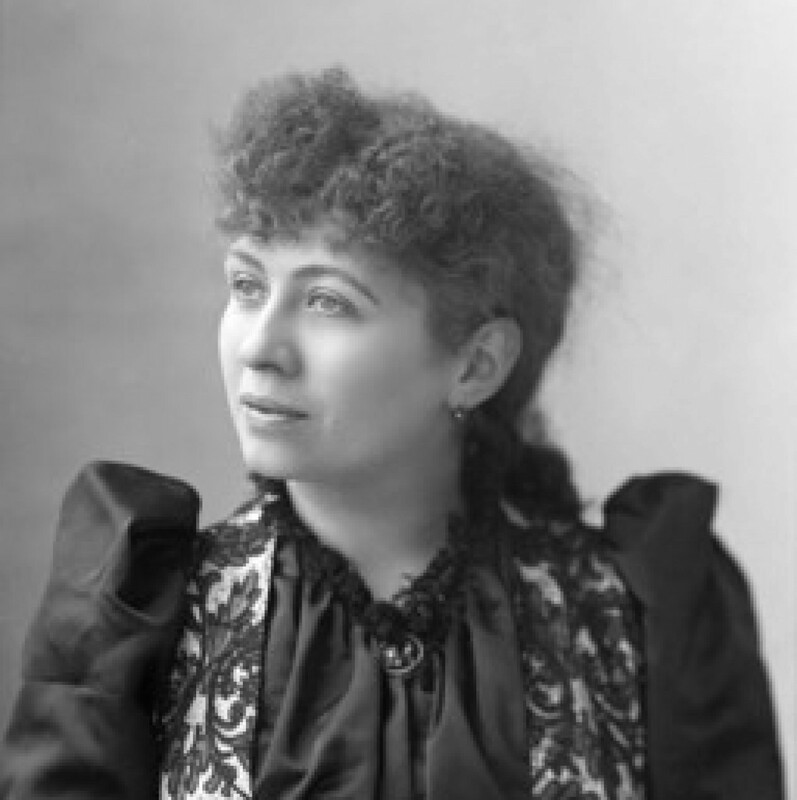 For two years, from 1890-1892, Séverine wrote articles for Le Rappel that were almost completely limited to her campaign against bullfighting. But this was not her only fight for animals’ right to well-being. Back in 1888 she revolted against Lozé, the Paris prefect, who declared war on stray dogs; she would stop and chide coachmen who abused their horses; she herself adopted animals off the street: Tiote and Mégot, then Sac à Tout coming off Boulevard Montmartre joined Rip to make four dogs to accompany her along with Coco Bleu the parrot and a one-eyed cat. 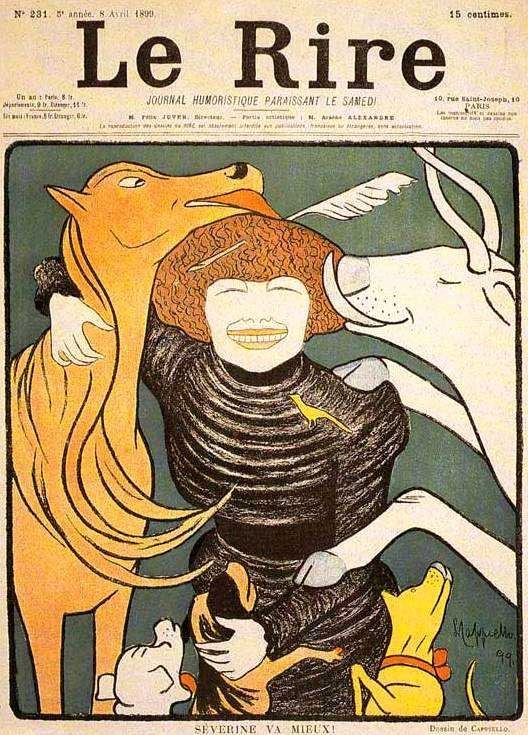 Her ceaseless fight for animal rights was rewarded in 1900 with the Prix Blouet by the Society for the Protection of Animals. So, the world is like a vast corrida that people get drunk on and they will pay to watch the slaughter even if it is illegal. But no matter how rich and influential you may be, you are not above the law. Or so she thought when she started a violent campaign against the little sugar king who was shirking his military obligations—a little war that grew into one of the great scandals of the day was on. The eccentric wastrel claimed to be ill in order to finagle his way out of mandatory military duty. When he boasted of buying off the doctors, Séverine went on the warpath, reviling his avoidance of the blood tax, which was an insult to all the men dying, justly or not, on the African savannas, in the mountains of Madagascar and in the rice fields of Tonkin. Lebaudy answered by paying off the press, handshakes for some, shaking fists for others; he used all his influence against her and it worked. Instead of congratulating her courage in defying him, they criticized her. However, as a result of all the clamor, the authorities decided enough was enough and they put him in the military hospital at Amélie-les-Bains in the eastern Pyrenees where soldiers returning from Madagascar were housed. The first thing he did was to finance a velodrome so he could ride his bicycle every day, a special treatment for his special case of tuberculosis, which the doctors at first could not detect. The real sickness came on suddenly, perhaps contracted from a real patient and he died on Christmas Eve 1895. His death, although it could not be put down to military service (more likely just the result of his fast living), turned him into a martyr. Séverine became his executioner. The press unleashed against her, holding her somehow responsible for his premature demise. In spite of all their slander and abuse, her conscience, however, was clear. On the other hand, Georges Labruyère once again became a thorn in her side. In January 1896 he was arrested for blackmail: they accused him of taking up to 25,000 F to make Séverine lay off her offensive. He claimed that the proposition was made to him, but he refused it knowing perfectly well that not even he could pressure Séverine into doing anything against her will. Eventually he was acquitted for lack of evidence, but was he innocent? The truth would never be known, but this one final doubt, the last vestige of trust broken, spelled the end of their intimate relationship. In the investigations that followed Lebaudy’s death, it was his legal advisor Lionel Werther de Cesti who was found guilty of embezzling from his fortune, of substituting stolen samples of tuberculosis in the hospital and of paying off witnesses to disappear. He was sentenced to one year in prison and given a 500 F fine. Séverine was cleared of all responsibility in Lebaudy’s death, but despite the support of popular colleagues such as Octave Mirbeau her position as a journalist was damaged. She was both respected and feared, but newspapers had to protect their resources, their funding, which often came through secret funds from the government or the magnates of industry, and she was a threat. She was a fire ship and no one ever knew where she would strike or what she would do next. Paris and Her People Under the Third Republic, 1919.